3 new ways manufacturers can embrace the holiday quiet period and reevaluate efficiency. Although the holiday season as a whole is a busy time for many companies, the window between Christmas Day and New Year’s has long stood as a valuable opportunity for manufacturing facilities to implement much-needed improvements. While retail, distribution and e-commerce companies are still in the midst of peak season, many manufacturers implement a production floor shut down in order to address various issues that have gone unresolved during the previous year’s up-time. During these holiday shutdown periods, manufacturers traditionally have focused on equipment repair and machine maintenance, often overlooking the potential to streamline material flow and rethink automation strategies. That’s because traditionally, automated guided vehicles (AGVs) for materials handling were inflexible, designed with embedded wires, lasers bouncing off reflectors, or tape on the floor to guide vehicles around the factory floor. These systems were reliable but almost completely static, so manufacturers could not easily make adjustments even if they suspended production for a week. With today’s advanced computer and sensor-driven autonomous industrial vehicles, however, leading manufacturers are installing AGVs that are completely flexible and able to be changed on an ongoing basis to streamline operations. These adjustments allow for increased efficiency, decreased downtime, and process improvements and other optimization that can be made in real-time based on data culled from the vehicles themselves. Here are three ways that manufacturers can use their holiday quiet periods to reevaluate how to move products around their facilities more efficiently. 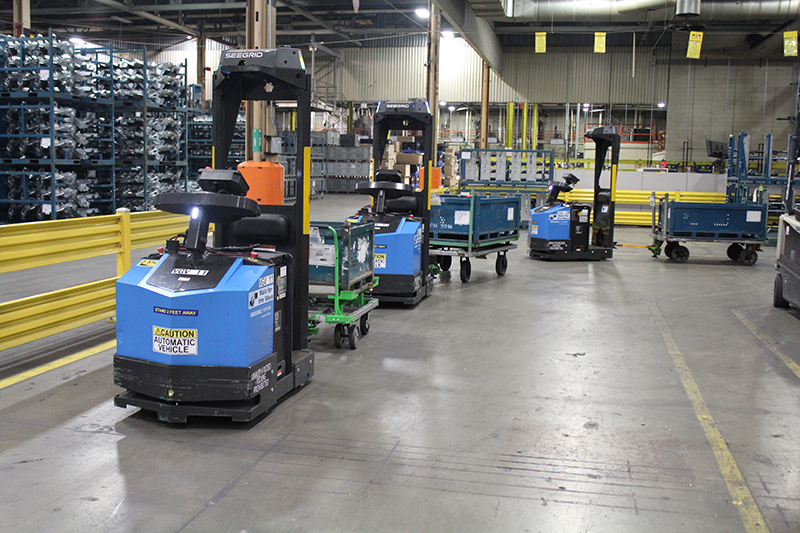 When thinking about adding automation in the form of AGV systems, organizations may become overwhelmed by the seemingly heavy capital investment and logistics of changing so much of their existing systems and processes. This is why many companies begin by testing automation on a smaller scale. When considering automating parts of your operation, manufacturers should first evaluate the business case, considering factors such as worker safety, labor costs and savings goals, and regulatory compliance. By setting up a pilot program that includes the replacement of manual forklifts with self-driving pallet trucks in one part of the process, for example, companies can test to see if the investment is worth expanding on a larger scale. Once tested, companies can then expand to integrating software systems and gradually increasing the number of self-driving vehicles in the warehouse. This iterative approach will enable you to begin to see the ROI of automating materials flow without a prohibitively large initial investment. The cost of material movement is something that all companies want to reduce. When considering lean philosophy when it comes to manufacturing and distribution, most material movement is non-value added. For instance, when an AGV is bringing parts to line at an automotive plant, the person that is assembling the door onto the chassis is adding value to that end product, but the fact that that door panel had to be stored a mile away and then be transported to the line at the point of use – that movement is just a cost. There is significant competitive pressure to drive down the cost of material handling, and doing so during a “shutdown” period gives your team a chance to step back and holistically think through your materials handling approach, which is often difficult to do during the rush of normal production. Even today, despite the increase in driverless vehicles, the vast majority of products are moved around warehouses by humans driving pallet trucks and tuggers. Human workers will always have a place in manufacturing – they bring creativity and flexibility that simply won’t be replicated by machines. But these kinds of repetitive tasks are not our forte. Our inherent unpredictability is why forklift driving is currently one of the most dangerous jobs in the country, with someone dying from a forklift-related accident every four days – and that’s not counting the 95,000 other injuries each year. A holiday shutdown period enables operators to conduct vigorous risk assessment plans by examining all of their interconnected systems without the factory running at full speed. If any safety incidents did occur during the past year, how can you learn from those to ensure they don’t happen in the future? As you add self-driving vehicles to your factory floor, which are substantially safer than human drivers, think through how best to leverage that technology to ensure the safety of your human workforce. While the holiday shutdown is nothing new, the rise of automation and intelligent technology brings a new meaning to this “dead week” in the manufacturing industry and presents an opportunity for companies to consider new approaches to increasing efficiency and overall supply flows. 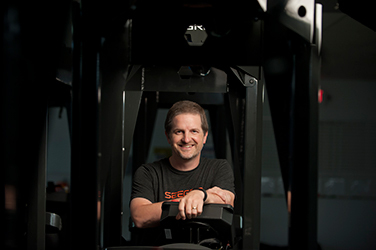 A perceptive strategist, Jeff oversees Seegrid’s product development and marketing teams. His career spans technology design, information delivery solutions, business intelligence, and analytic software. His expertise is in growing startups into multinational corporations (Rhiza Labs, MAYA Design, Inmedius). Jeff studied Human Computer Interaction at Carnegie Mellon University and holds a Bachelor of Arts degree from Hope College.